Feeling worn down from expensive bills? 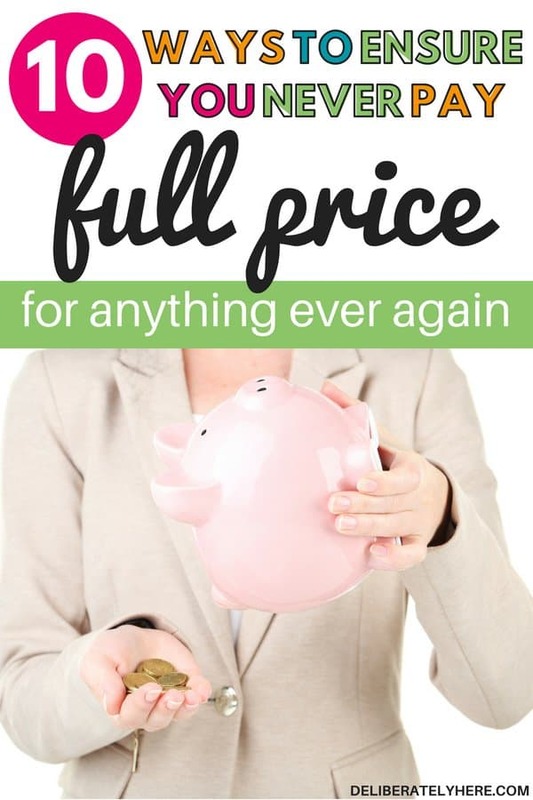 Here are 10 ways how to never pay full price for anything again! Paying all your routine monthly expenses, and any surprise expenses that may jump at you throughout the month can easily add up to more than you were prepared for. 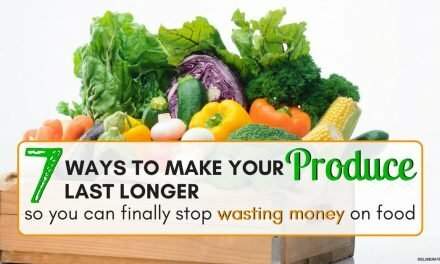 With things like grocery prices always on the rise, it can become hard to make your income last for the whole month. With prices always rising, there has got to be something that you can do to lower costs, right? 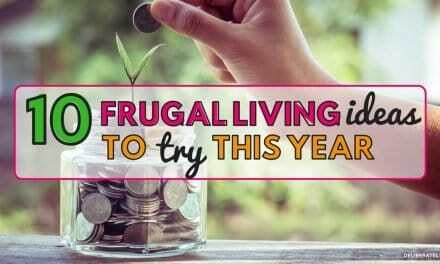 If you’re partway through the month, unsure of how you’re going to pay for the rest of your bills with a bank account that is running dry it can start to feel hopeless when the prices of items are constantly going up and are far more than you can afford. 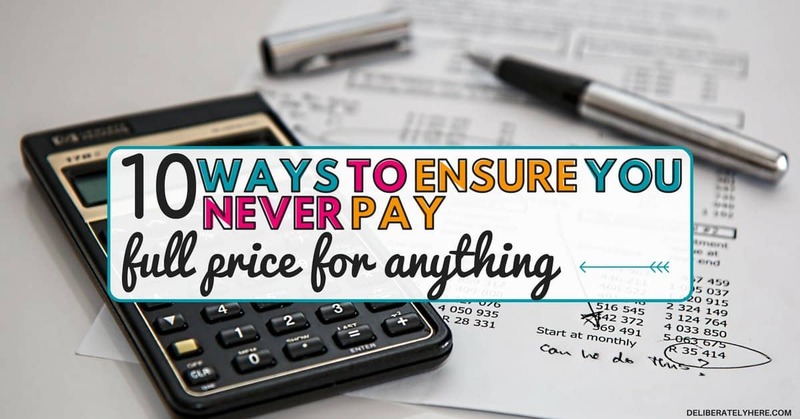 Thankfully, there are a few things you can do to ensure you never have to pay full price for anything again, although I will warn you – doing this requires patience – but it will pay off when you start to see how much money it is saving you. I love searching high and low for deals and discounts, so here are a couple ways that you can ensure you never have to pay full price for anything again. Asking an employee if there is a deal, sale, or better price available is something that requires minimal effort on your part and could end up saving you lots and lots of money. And what’s the worst thing that could happen? They could say no, then you would simply move on with your day. But, they could also say yes, there is a promotion happening right now, and show you how you could get the product you are looking for for a better price. Maybe the sale is in a different part of the store that you would have missed, maybe the sale didn’t come up in the cash register for some reason, or maybe they have a better price that isn’t out yet, but they are willing to offer you, or a sale that just ended but they are willing to give you the same price since you asked. It never hurts to ask, and all it requires it a bit of your time. One thing you should always do before you head to the store is search for coupons. You can find coupons on various sites online, in the newspaper, in-store flyers, and some stores even have “promotion walls” where they pin up all their current available coupons. You can also look at a store’s online website to see if they have any promotions happening there. If you sign up to be on the store’s mailing list you may also get coupons and deals sent straight to your inbox every once in a while, as well. Shopping with coupons has the potential to save you mounds of money. You can also wait until something comes on sale then pair the coupon with the sale price (as long as it doesn’t state that the coupon can only be used on regularly priced items) to save even more money. Many people run far away when they hear the word couponing, myself included. Well, I used to. That is until I realized how much money I was wasting because I was too stubborn to learn the basics of couponing. It always sounded confusing, and I hate to cause a disruption or hold up a line at stores, so I didn’t want to have to bother with couponing. 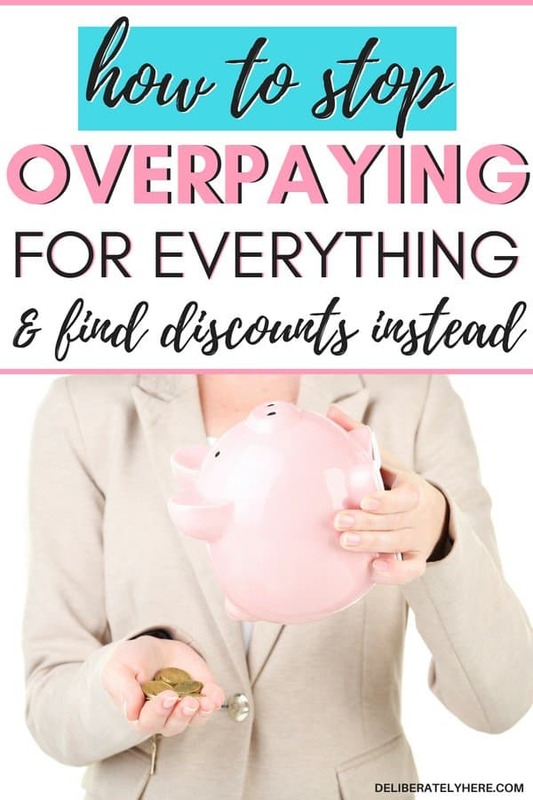 But, when I finally realized how much money I could have saved if I would have taken a few minutes before each shopping trip to find even just a couple coupons, I was determined to learn the basics and start couponing. If you’re ready to save money on your groceries with coupons but don’t know where to start, here is a great resource: How to Coupon for Beginners. Another great method for saving money on groceries (or earning some back) is by using cashback sites and apps. It seems like there are countless cashback sites and apps out there that offer cash back on purchases, offer deals, and coupons. I haven’t experimented with all the cash back sites and apps available, but a couple of my favorites that I have used and love are, Ebates (earn cash back when shopping online), Checkout 51 (earn cash back from your grocery purchases by taking a picture of your receipt), and Ibotta. If you’re going to be making online purchases, Ebates allows cash back on your purchases and they offer multiple coupons so you can save money on top of earning cash back. 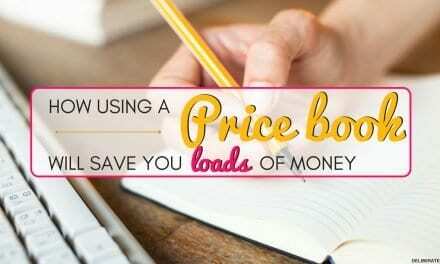 A price book is just that – a book where you record prices on the items that you buy. A price book allows you to learn the regular price of items at different grocery stores, so when you make your grocery list you know which items you should buy at which stores to get the best prices. A good price book will have a column for the date, the store, the item bought, and the price. If you want to get more complex and detailed you can add things like sale prices and dates of sales (to learn the different sale cycles at different stores), unit price, and so on. This way, you will start to learn that store A might have the best price on beef, while store B has the best price on cleaners, while yet, store C has the lowest prices on toilet paper. Learning the habits of your main stores is a great idea to help you start to save money on your purchases. Grab a free price book printable here to start your own today! Having patience while you’re shopping is critical (see, I told you saving money would require patience). If whatever you are going to buy isn’t something that you desperately need right now, have the patience and self-control to walk away and tell yourself you will come back and buy it once it has come on sale, or you find a coupon for it. Your price book will come into play here, as you will be able to tell how often certain items at different stores come on sale, and it will give you an idea of how long you’ll have to wait before what you want to purchase will be on sale again. Most companies offer rewards programs for free, and it’s a great idea to start signing up for all the ones that you regularly shop with. Some companies may offer cash back if you are a member of their rewards program, while other companies might offer special prices exclusive to rewards program members. Find out which rewards programs the stores that you regularly shop at offer, then go ahead and sign up for them so you can start saving money in that way. Stocking up is a great tip for how to never pay full price for anything. When good sales come around, it can be a smart idea to stock up on those items – if you know they are items that you regularly use. If you don’t like or eat fish, if an unbeatable sale comes on at your grocery store for fish, have the self-control to walk away from it. If it’s just going to go bad and never get eaten, then stocking up when a good sale comes around is not a good idea. On the other hand, if a good sale comes on something that you use often and that can be stored for a while without going bad, then stock up. Recently, a local store had an anniversary sale and they were offering over $1.50 off a jug of milk – this is the lowest price I have ever seen milk for around where I live, so I stocked up with several jugs of milk, because milk is something I know we use often, and I can store it in the freezer until we need it without it going bad. By organizing and decluttering your house, there’s a good chance that you are going to find a lot of items you completely forgot that you already had! You may even have something on your “to buy” list that you have sitting in the back of your closet right now, without you knowing it. Before you go out and make any more purchases, work on organizing your home. Organize everything from the linen closet to the pantry. 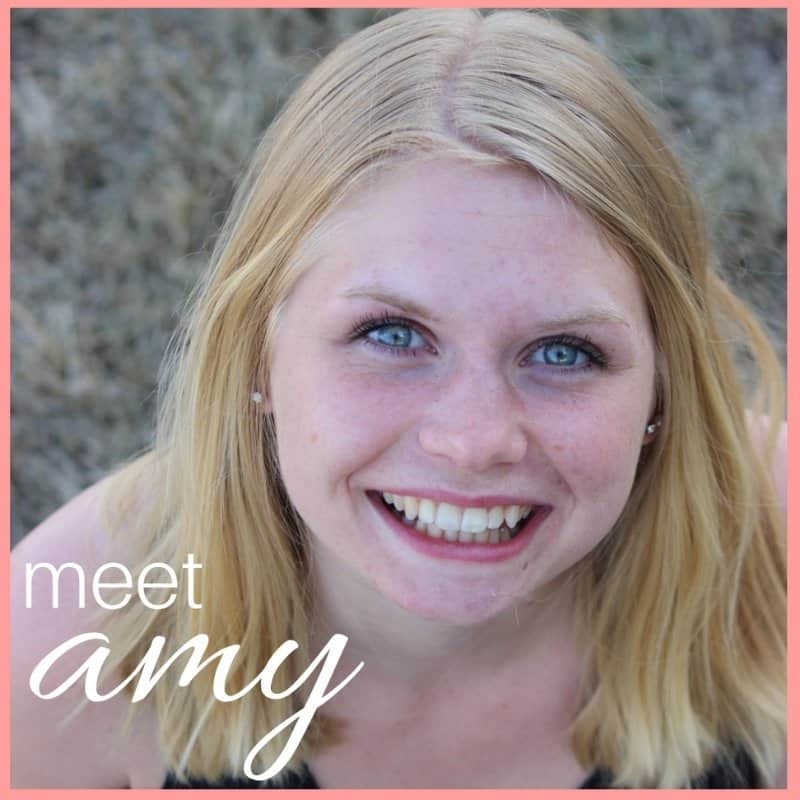 This will give you an opportunity to clean out and declutter your home, and you could even make money from your clutter. Once you’ve organized your house you will now be able to know what you already have and what things you still need. It may surprise you how much stuff you have sitting in all the nooks and crannies of your house that you have forgotten about. If you can’t find a price that you’re happy with in a store, don’t buy it. Instead, come home and do a bit of online shopping. You may even be able to find a coupon code for whatever you’re looking to purchase simply by typing “(produce you’re looking for) + coupon code” into your search bar. Ask yourself a few questions before you buy anything, no matter how big or small of a purchase it is. What will happen if you don’t buy it today? Will you still be using it in a year from now? Of course, some purchases like groceries will be no-brainers. Of course, you will still be needing food in a year from now, you’ll still be getting hungry then. But for other purchases like clothing, cleaners, and even bigger purchases like appliances and furniture, you should always ask yourself those questions and take time to answer them honestly. Even though the prices of everyday living essentials are steadily rising, these tips will still be able to help you get your items for cheaper and will help you always find a good deal. What are your favorite money-saving tips and tricks? 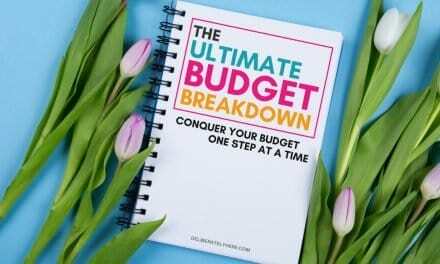 How do you ensure you don’t go over your budget every month? Do you have any tips to share with how to never pay full price for anything?